This is cathegory for cats and kittens in Sydneywhere you can find cats and kittens for sale in Sydney,diffrent cats and kittens in this Sydney,colour and breed. Cats for sale, kittens for sale ads in Sydney. 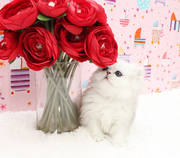 Thank you for visiting our free advertising website Cats for sale, kittens for sale, Sydney section. We provide high response free classifieds and free advertisement. Use our online free Cats for sale, kittens for sale classifieds placement system to find, list, offer Cats for sale, kittens for sale online! I currently have a gorgeous Lilac Point Himalayan girl Tiffany, Chocolate point Himalayan girl Amber, and a solid lilac Persian boy Billy. Exotic Chocolate tabby point boy Sampson These little guys have gorgeous teddy bear looks and the unbeatable people loving temperament to go with it and are currently 6 weeks old and will available at 10-12 weeks fully vaccinated, micro-chipped and vet checked. Need a little bit of time to talk it over with your husband, wife, ect.? Afraid the kitten of your dreams may be snatched up by another family during this time? please get back to us with your phone number so that we can call you..
A beautiful litter book for kitten breeders that has been designed with the breed societies, council regulations and government requirements in mind. Has enough records for 20 litters and includes a stud register as well, making it ideal for the professional and hobby breeder. Every piece of information you're required to keep has a space provided. Kittens for adobtion! Price incluedes desex, microchip and 3 Vaccinations. We have got 4 little Kittens in our care at the moment. These cute, little bundles of joy have been rescued by members of the public and brought in to our Clinic. After 2 weeks of Isolation, health checks and nursing they are ready to take on the world. Adoption includes 1/2 price vaccination, microchipping and desexing at the point of sale. available two stunning Ragdoll kittens, Monty Cream Point boy Ruby Blue Cream Point girl They have gorgeous temperaments love to play and curl up in your lap, and have that lovely laid back floppy Ragdoll nature. Currently 5 weeks old will be available at 10-12 weeks fully vaccinated, micro-chipped and vet checked. 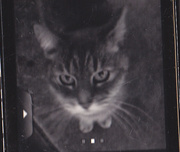 Female adult cat, desexed and microchipped Loves cuddles, attention and Tuna! Ideal for apartment living Contact owner if interested. 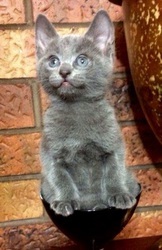 FOUR EIGHT WEEK OLD KITTENS THEY ARE VERY CUTE AND PLAYFUL THEY ARE LOOKING FOR A LOVING HOME. Cattery «CHERSI» (WCF cattery certificate № 090036.UA) proposes to reserve the Siberian kittens golden mackrel and spotted, black and silver marmor colors from the best Russian producers tribal lines.Very bright golden babies, trained, strong, active, healthy, affectionate and outgoing. Wild grace hunter in harmony with the gentle purring pet. Bengal girl Laura -in very good type and sweet character. Parens both typey cats with great profile, great pedigree and very nice price. mother- LynxLand Jolly , Father: Dazzledots Mambo www.lynx-land.com. 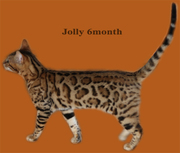 Female bengal cutie, beautiful markings, vaccinated, extremely friendly, PKD NEG registered. good with dogs. she will come with health guarantee, shots, CFA PAPERS and pedigrees, she is also litter box trained and independent from mother, She has a fabulous pedigree.we are there for you and your new kitten long after she arrive home. Misty is a beautiful & affectionate cat she LOVES attention and loves kids she is the most loyal animal you could ever want unfortunetly she was abandond at a house i was renting and when i moved in i kept her as my own but now that my lease has run out and rent is so expensive these days i am moving back to my mums house and she doesnt get along with other animals very well she gets quiet scared so i cant take her with me because there is 5 other animals where i am moving to. Cattery european burmese Anvita Lila sells kittens of colors: brown, lilac, chocolate. Our kittens grow up next to us, brought up in the love and care, social adaptation and have a real burmese character! We look forward to responsible and loving owners for our kids! More information visit: http://www. He is always around people and other cats in the cat room, but only likes petting for a short while. Then he may give a gentle nip to let you know that is enough. Good with other cats. 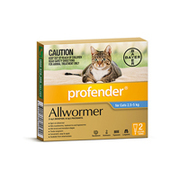 The cat has been microchipped, neutered, current on all vaccines, FeLV/FIV tested and started on Heartgard Plus & Frontline Plus. Bengal kittens from Top Linie. Bengal girl Kaylie - Bengal girl for show and breeding. Rosettes flowing in horizontal fashion, no ribbars, deep contrast, nice profile, small ears, champion bloodlinie. Father -IC Korshki LeoPard Of LynxLand, Mother - Jabari Customs Lady (Korshki Work Of Art, Gogees Art Exhibit, OS IW RW SGC BRIDLEWOOD A LICENSE TO THRILL, RW SGC Calcattas Custom Made, RW SGC Belara Customs Dream. a few months ago, my family cat brought a few kittens home! we adopted the kittens since they arrived to our house, however, my husband and i are going oversea for bussiness, we have to give away our kittens, we are selling $60 for all of the kittens, they are not desex however. We are willing to negotiate the price, as it is not the most important issue, we just want to find a good home for them, so they can live happy ever after. Australia free ads for Cats for sale, kittens for sale, Sydney, Cats for sale, kittens for sale free ads Sydney, Cats for sale, kittens for sale for sale Sydney, Cats for sale, kittens for sale to buy in Sydney. 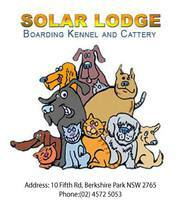 Find on this page free classifieds for Cats for sale, kittens for sale in Sydney. This listing includes classifieds for sale and to buy in Sydney. FREEADSAustralia Sydney offers you a platform to post free advertisements or classifieds for Cats for sale, kittens for sale in Sydney. FREEADSAustralia helps you search, find buy, sell, rent or hire in various categories like apartments, goods for sale, local services, cars , jobs and many more in Sydney. If you posted an advertisement in category Cats for sale, kittens for sale of FREEADSAustralia Sydney before please use Edit my ads button to change or cancel your ad. 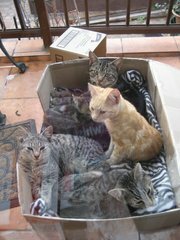 Cats for sale, kittens for sale Sydney ads Sydney, Cats for sale, kittens for sale classifieds Sydney, Cats for sale, kittens for sale free ads Sydney, ads for sale Sydney, ads to buy Sydney, FREEADSAustralia. Find here ads for sale, to buy and rent in Sydney. Goods for sale in Sydney, vehicles for sale in Sydney, Sydney real estate for sale, Sydney property for sale, property for rent in Sydney, business ads in Sydney, Sydney business classifieds, services in Sydney, Sydney services ads, jobs in Sydney, pets for sale in Sydney, Sydney dating, Sydney cars for sale.